Since November the beautiful Austrian city Innsbruck is one of the two main settings of the Indian TV series Pardes Mein Hai Mera Di. The soap opera deals with the complicated love story of Raghav Mehra and Naina Batra, two Indians who meet in Austria and who have to approach several problems before they finally can be together. Because of the enormous popularity of the daily series the Indian interest in Innsbruck, and Austria in general, has increased vastly. The nice shots of the city bring more and more publicity and tourists. 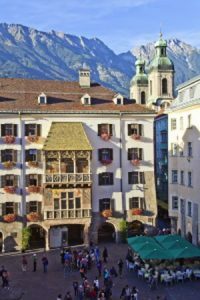 Go to INNSBRUCK.Info to find all information to travel there, just to click trough all the pictures of the amazing landscape or to find out some more details about the Austrian parts of Parden Mein Hai Mera Dil! Innsbruck, the Capital of the Alps, is the most populous city of the state Tyrol in the West of Austria. Nearly 131,000 people live there. It is a pretty multisided city and offers lots of different highlights for tourists. The surrounding beautiful nature with its mountains invites to hiking and skiing, while the many attractions are perfect for a sightseeing trip. The Imperial Palace, the City Tower, the Court Church, St. James Cathedral, Wilten Abbey Basilica and Ambras Castle are just a few examples for places of interest. The impressive architecture is a unique mixture of historic structures and modern innovation. Some buildings are even world famous, for example the Golden Roof. Furthermore Innsbruck is the perfect travel destination for a shopping trip. The many shopping centers leave nothing to be desired and the different markets and small shops in the Old Town offer a huge selection of souvenirs, local delicacies, mementos and fashion pieces. On top of that Innsbruck is an important cultural center and offers a lot of different events at any time of the year. The previous information about upcoming highlights pays off, so you do not miss one of the spectacles. 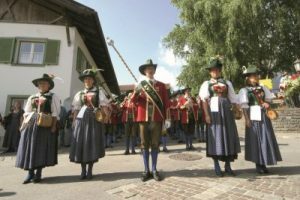 Popular activities are for example the Festival of Early Music, the Easter Festival, the Tanzsommer summer dance festival and the New Orleans Festival. But there are also different special celebrations and performances every year. 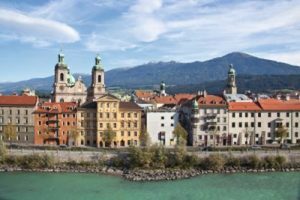 Apart from that Innsbruck has much going for when it comes to nightlife and culinary delights. The many bars, coffee houses and restaurants serve every traditional delicacy and are a perfect way to get to know the Austrian gourmet scene. From real Tyrolean cuisine to excellent Italian and other international restaurants or vegan places, everything is represented. The local specialities like Kaiserschmarren, Kasspatzln and Gröstl are definitely worth a try! Besides, the beautiful Austrian costumes Dirndl and Lederhosen are interesting to view in real life, as the traditional Indian clothing like the Sari distinguishes a lot from the European style. India and Austria are two countries with totally different cultures. That is the reason why Indians are and should be curious about Austria. The unfamiliar people, environment, food, traditions and the whole way of Western life appeal to them. They get the chance to get to know an alternative lifestyle, broaden their horizon and additionally visit the places of their favorite TV series Pardes Mein Hai Mera Di. Besides, Innsbruck offers so many assets that it is always worth a trip.